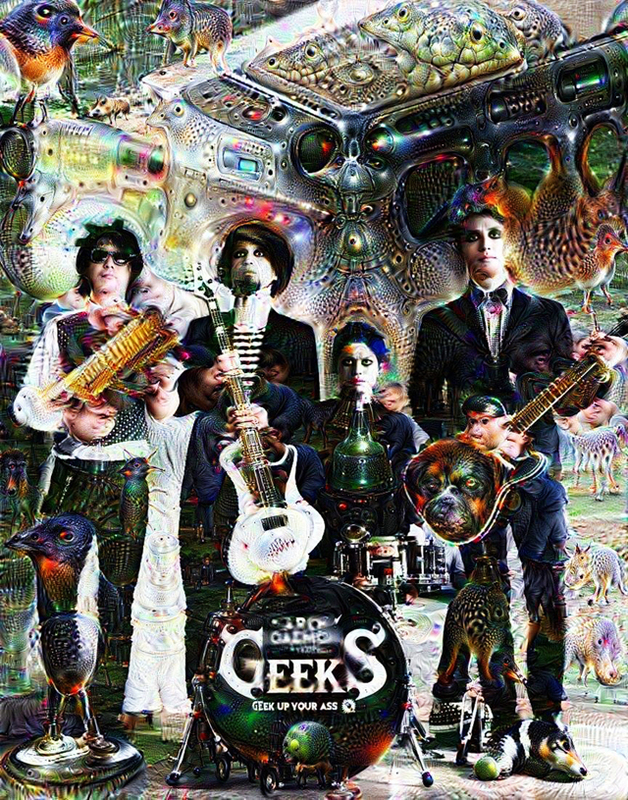 GEEKS is a rock band formed by a genius con artist ENDO. (Gt&Vo), outlaw from Chiba MITSU(Ba&Vo), weird geek, KARU(Key&Vo), Kyohei, and the arc-demon from downtown(Dr&Vo). Their music is bald, epoch-making, and magnificent, universal, original, unique, anime-oriented, and expensive rock. Their sound is western, heavy, and powerful while it is queer and artistic with strong character still easy and catchy to listen to. Having said that they are more unique than any other band. The original lyric flow is such that listeners think it written in English. It seems like many people are saying they are the coolest and dopest band.